Property owners can no longer take prospective buyers for a ride while selling land in and around the city by hiding information. The Chennai Metropolitan Development Authority (CMDA) is set to make disputes over survey numbers public. GIS-enabled land-use maps that will soon replace their outdated predecessors on the CMDA portal will feature information over ownerships disputes. CMDA sources said the new maps in the Chennai Metropolitan Area (CMA) have been upgraded on GIS. “In addition, a user selecting a survey number will be able to view all details related to restrictions on development owing to location in the vicinity of ASI-notified sites, defence establishments, besides objections and whether the land comes under the purview of any acquisition,” a senior CMDA official said. Currently, the multi-colour coded land-use maps have data such as residential or commercial and locations, where restricted development is permitted apart from construction banned areas such as water bodies and reserved forests. Details regarding disputes are absent. Different agencies and departments of the government notify the CMDA regarding the areas identified for land acquisition for public projects. According to sources, objections to ownership is also brought to the notice of the planning authority by the people concerned. “These details would flash as people click on the survey number. A majority of the disputes are about ownerships,” another official added. The CMDA portal has a decade-old land-use map, which has not been updated though the CMA has witnessed massive urbanisation over the last ten years. Even as peripheries of the corporation have been expanded adding the fringe areas, these localities continue to figure as town panchayats or municipalities despite the upgradation. OMR resident Satish rued that Perungudi and Sholinganallur on Rajiv Gandhi Salai that were merged with Chennai district continue as town panchayats. When contacted, a CMDA official said that these issues would be addressed and necessary updates would be executed. Several realty reports are suggesting a comeback for real estate across the country and a huge demand is being seen in the affordable segment. The year 2018 has been a year of revival of sorts for the property market in Chennai. Recent reports suggest that new consumers now rule the previously investor-driven market. The last two years saw a slew of reforms and regulatory measures being implemented and there was a certain degree of a confusion before the market could touch the new normal. According to Anuj Puri, Chairman, Anarock Property Consultant, “With the now discernible impact of RERA, DeMo and GST, housing sales are seeing an upward trajectory in 2018 q-o-q. 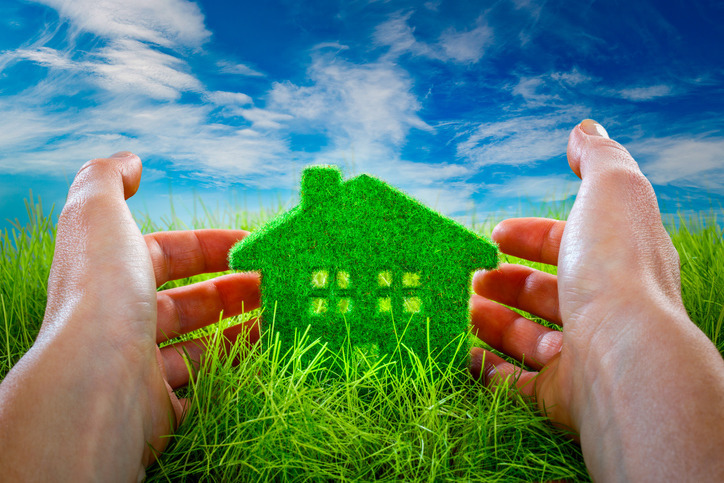 New launches have also gone up this year with affordable housing witnessing significant growth. NRIs see India’s rebooted real estate market environment conducive enough to justify property investments, especially on the back of the depreciating rupee.” That is the national trend at large. 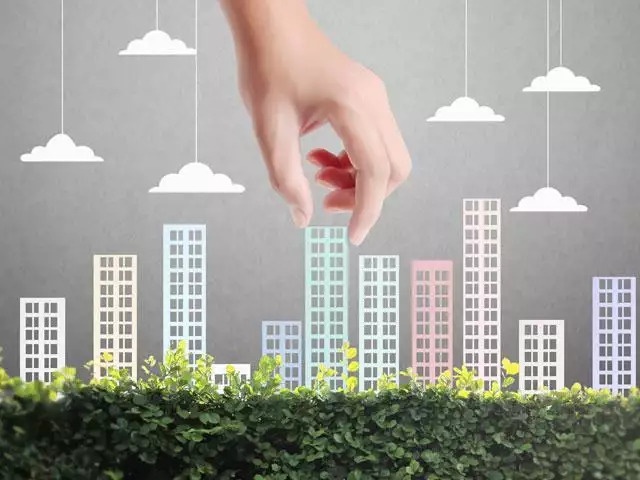 Earlier this year, many real estate experts observed a 50 percent jump in overall new housing launches in the second quarter of 2018 over the preceding quarter, with the maximum supply being in the affordable segment (less than 40 lakh). Interestingly, the affordable housing supply increased by 100 percent in Q2 2018 over Q1 2018, and this supply has led the overall growth. To be more specific, Chennai’s new supply doubled to 4,200 units in Q2 2018 compared to only 2,100 units in Q1 2018, which is an increase of 100 percent. Over 64 percent new supply was added in the affordable segment. A report by Knight Frank also said that buying interest was more inclined towards projects that were closer to completion and more so in the affordable segment, between Rs 25 lakh and Rs 40 lakh. And with 6,520 units launched in H1 2018, it was the highest in the last three years. The prices also declined by 4 percent YoY as developers doled out discounts to lighten inventory load. 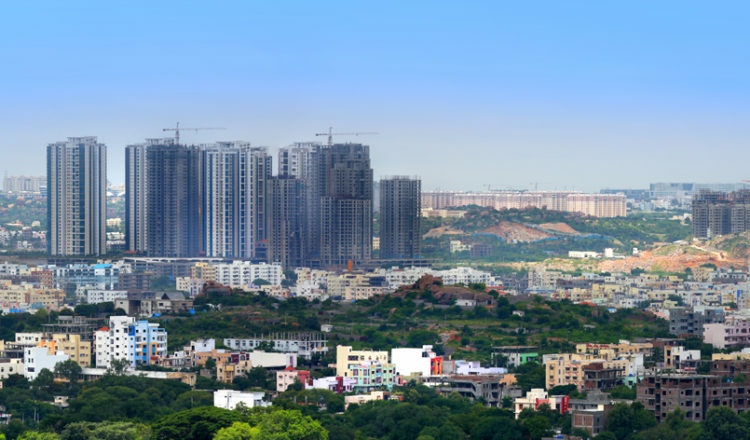 “The Chennai office market that has been reeling under an acute supply crunch over the past three years has seen some respite in H1 2018 with the supply scenario easing somewhat with 10 percent growth in new completions. The paucity of quality office space also led to a strong rental growth. The residential real estate market, on the other hand, has begun on a positive note as H1 2018 shows the promise of a potential recovery in residential market volumes. H1 2018 saw the highest number of units launched in a single period during the past three years and the persistent drop in sales was largely muted as well, compared to the preceding period,” says Kanchana Krishnan, Director – Chennai, Knight Frank. 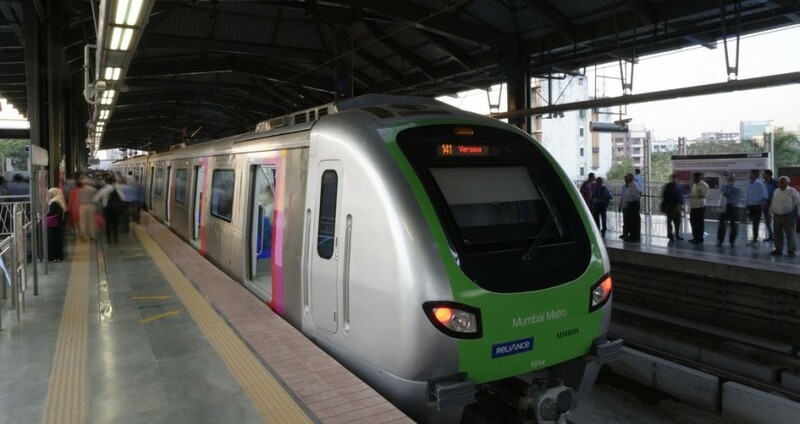 The much-anticipated metro rail line to link the IT hub on Old Mahabalipuram Road may take a backseat as Chennai MetroRail Limited (CMRL) will begin work on Phase 2 with the design and construction of the facility to connect the suburban and core areas of the city which are primarily dependent on MTC buses. Some of these stations planned will run parallel to existing MRTS stations, which are expected to be taken over by CMRL in December. Vijay Kumar Singh, Chief General Manager, underground section said a consultant to make a detailed design for corridors 4 and 5 would be appointed next month and work would begin in July. “In six to eight months preliminary design will be ready. Work will begin on corridors 4 and 5 on a priority basis and these will be ready in six years,” he said on May 29 during a media tour of the stretch between Little Mount and AG-DMS, which was opened on May 25. Initially, OMR was supposed to get metro connectivity before the other two corridors. Corridor 4 will link the city through Vadapalani, Kodambakkam and T Nagar. Corridor 5 will connect the northern suburbs in and around Madhavaram with a part of OMR at Sholinganallur via Adambakkam, Madipakkam, Kovilambakkam, Medavakkam and Perumbakkam. It will be an orbital corridor connecting lines running across all radial roads including Poonamallee High Road, Anna Salai, Arcot Road and OMR. Running along some of the stations in these corridors will be the existing MRTS facilities, which will be merged with CMRL. Singh said the actual merger may happen by 2018-end. “Consultant report has been forwarded to southern railway for analysis and it will be sent to the railway board in Delhi. Based on their feedback, methods and modalities for integration will be decided. The report has given us various ways to go about integration and the financial model to adopt,” said L Narasim Prasad, Director, System and Operation. In corridors 4 and 5, metro stations have been planned close to MRTS stations like Lighthouse, Thirumaylai and Adambakkam. However, the services in these stations may not be merged, as officials said the two mass transit facilities will only be integrated through walkways to provide commuters access to multi-modal transport facility. It means commuters will have to step out of metro stations and use a walkway, a pedestrian subway or a foot over-bridge to enter MRTS stations. In a proposal last year, Southern Railway told CMRL that trains operating on the Chennai Beach-Velachery line could terminate at Fort Station instead of Beach. The merger will help CMRL operate better quality coaches on the stretch, provide a wide array of passenger amenities including food stalls and above all integrate MRTS and metro services with MTC buses. Moving to a New Nest – Here is the checklist ! Concerned about moving to a new nest? Confused about where to start from? Here is the solution to all your ifs and buts. Undoubtedly, moving from your old house to a new one can make life chaotic. Your routine and everyday life gets tossed randomly. Prepare a checklist dedicated to your move. Jot down little details as it will turn out to be useful to you. Starting from your house-hunt days, it will come out to be your partner until and unless you get settled down in your new nest. Let me tell you how it will work for you ! Still confused about the best place to live in from the numerous options available, Why don’t you just write down every single bit of information you have stolen about a property. Once you are done with that, just give a comparative study to every house you have in your options and look, the major cause of your headache is treated. Finished with the selection, now jot down what all things which you want to take with you in your new “ Aashiana”. It is just the right time now to get rid of those extra items from your luggage which you have never used in a lifetime and will not even use it. You just brought it to fulfill your fantasy or after seeing the same thing in your neighborhood. Remember that you are starting from scratch and it’s better not to carry unused belongings so as to make room for new things at your new place. Have you started tracking your expenses? Not yet, It’s high time to start with it now. From the time you start planning to relocate, from then only you should start keeping a track of your expenses. Whether you are buying a small needle or a sky, you should know how you are spending your hard earned money and is it worth spending or not. Also set your budget prior to buying anything so that you don’t end up empty handed. Some money can be kept aside in case your expenses gets exceeded than the planned budget. If you are on a go to a small distance then it is not a matter of much worry to you but in another case if you are really traveling a long way with all your household stuff moving with you, then you need to make sure that you opt for the right size of truck to carry all your belongings in one go. Are you in a great need of information on how to choose a right size truck? I am right here to help you out. If you are moving your one bedroom stuff then you will be need 16’ cube truck and If you are moving your two and three fully furnished house then you will at least require 24’-26’ truck to fit all your stuff in one load. Once you will relocate to a new place then it will be cumbersome for you to search for some elite schools prescribed for the specific board you want for your children or to search for the job opportunities matching your profile, so it is preferable that you search for them beforehand. It is advisable to go for the residence which is close to the school of your children. For instance there are many apartments in Delhi which are in close vicinity to renowned schools, colleges and workplaces. It could be nerve-wrecking sometimes to move to a new place where we hardly know anybody. If you are not the type of person who easily gets involved with people or can easily start a conversation with random people, then this time internet can help you out with many forums, groups and pages. You can make new friends over there or can keep yourselves updated with the latest happenings in your surroundings. Keeping these pointers in mind, you can assure yourself with the hassle free new nest with ‘Gem of a people’ all around !! http://360propertymanagement.in/wp-content/uploads/2016/10/logo-1.png 0 0 admin http://360propertymanagement.in/wp-content/uploads/2016/10/logo-1.png admin2016-10-10 17:17:272016-10-10 17:17:27Moving to a New Nest - Here is the checklist ! This 2 BHK flat is in Prestige Bella Vista in Mount Poonamallee Road. The Area is 1340 sq Ft. It is located in 17th Floor. There are lifts available in this 18 Floor Building. The total plot area is 5 acres. The house faces East direction and over looks Garden. The building was constructed in 2016. There is 1 balcony. One closed car parking is available. The floor is Vitrified tiles. The house is Semi furnished. Kitchen is Modular Kitchen. This is a gated community and 24 hours security and Power back up for common areas is available. Amenities includes Yoga Aerobics Room, Children play area Creche Badminton Multi Purpose Hall Gym Super Market Table Tennis Squash Court Swimming Pool and Library. It is about two kms from Ramachandra Medical College.